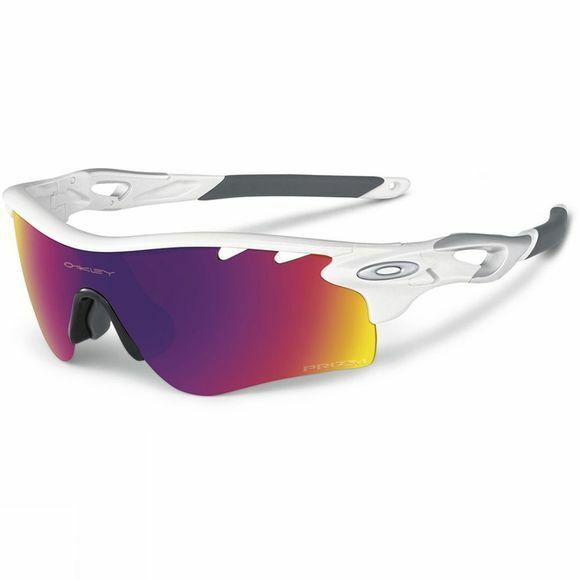 The Oakley Radarlock Prizm is the ultimate sports performance sunglasse. The glasses allow you to take full advantage of Oakleys wide range of performance lenses by using Oakley's innovative Switchlock System. Thanks to cutting edge Prizm Road lens technology, the glasses are fine tuned to enhance the road ahead of you so you can clearly see obstacles like rocks and potholes for added confidence out on the roads.